Internet is the source of information, and knowing how to properly use it, you can vigorously strengthen your brand through viral marketing. For this type of marketing, it is important to create high-quality information that will be cited and forwarded a lot of times. For this there is no better way of creating discrete newsletter in which succinctly describes all the positive aspects of your brand. The main goal is that you begin to perceive the public as a source of relevant information in the field you are operating. Therefore newsletter must be up to date, clear, concise and almost personal, and it is best to distribute it via email to all users who sign in to it. If this advice is combined with an award to each user who logs on to the newsletter, you will achieve even better results. 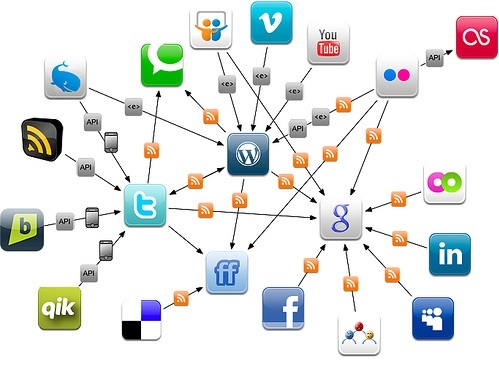 Using links is in fact a simple, free method of connecting to other sites, articles and blogs on the Internet. If someone publishes a positive review of your product online, accompanied by a direct link to the respective product on your site, many users will follow the link and so arrive at your site. So it would be good and productive thing to create easy to remember links for your most important products or services. The web server can thus created links that may continue to divert to the right, a long URL that is not simple to enter and difficult to remember. People love to argue with friends about the excellent new online service that is not only good, but also- free. We can relate with the case of Hotmail that has created a revolution by offering its free services to its customers. In this way, Hotmail has become one of the most used e-mail provider, and is an excellent example how giving free services is actually very effective. Hotmail was a pioneer of online viral marketing. The success of this webmail service was not based only on the fact that it was free because online promotion Hotmail based on viral marketing. Every time the user Hotmail email address sent someone a message, Hotmail would be at the bottom automatically added text content “Get your private , free e-mail to http://hotmail.com. “. Although it is still funny because online advertising has penetrated in absolutely all spheres of the Internet, at the time Hotmail came up with this idea, it was very innovative and hitherto untapped way of promoting. Each sent email was served as a commercial for Hotmail. This entry was tagged free content, free services, hotmail, how to, links, online marketing, positive viral online marketing, viral marketing. Bookmark the permalink.